The Long Awaited Founding Conference of Momentum Will Be a Virtual Conference! In his farewell speech to the House of Commons Tony Benn repeated one of his most famous sayings concerning democracy and accountability. It is particularly relevant at the present time given Jon Lansman’s coup against Momentum’s membership. These are the questions we should be asking of Jon Lansman and those on the Steering Committee who voted with him –does your power derive, to whom are you accountable and most importantly how do Momentum members rid themselves of your misleadership? 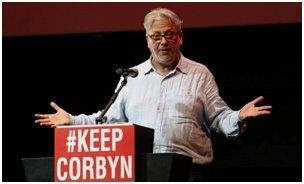 On the evening of October 27, Jon Lansman, the sole director of ‘Jeremy for Labour’ company (renamed from Momentum Campaign Ltd in the summer), called an emergency meeting of the Momentum Steering Committee for the evening of October 28 – i.e., with 19 hours’ notice. Some members, such as Matt Wrack and Jackie Walker, were not able to attend at such short notice. The meeting decided, by six votes to three, to cancel the November 5 meeting of the National Committee which was scheduled to take decisions on the organisation of Momentum’s founding conference in February 2017. It was the February National Committee meeting which elected the Steering Committee for the following six months, i.e. up to August. Therefore what has happened is that Momentum’s Steering Committee, a lower body, has just voted to disallow the higher body from meeting! Clearly constitutional theory is not Lansman’s forte! It also decided that the first Momentum conference should be in the ethernet, a virtual reality conference. It would have no physical manifestation. There would be no meeting hall, no delegates, no debates, just an atomised membership who would vote on the different proposals put before them. And who would decide the structures that allow such a vote? Well you guessed it. The same Jon Lansman and his coterie who have decided that, come what may, they can’t be removed. Hence why Momentum’s Companies are in the sole name of Lansman, who is sole director. In an email issued by Momentum to ‘key people’ “in local groups the decision was justified by the fact that “some Momentum members, groups and regional network meetings had raised concerns about the organisation of the 5 November National Committee meeting, the process leading up to it and democratic representation and participation for Momentum members more broadly”. We are not told who these people are nor what were their concerns were. Still less were we told whether they had called for the NC not to meet. If it is true that people had concerns about the November NC then this is entirely the fault of the self-same committee that is now shutting down our democracy altogether. This body gave branches and regional committees almost no time to meet and discuss proposals for the conference or to choose delegates for the November 5 meeting. In fact, most members have not even seen the various proposals on the future of Momentum and how the conference might be run. Lansman also pushed through a motion which stipulates that the conference must be organised via a system of “online voting for all members” – the full 20,000 of them! The merits or otherwise of the various forms of representation for the conference was to be decided by the November 5 National Committee which has now been conveniently cancelled. This is the very opposite of democracy. It is designed to atomise individual members and undermine conference as the collective decision-making body of Momentum. It underlines the extent to which sections of the left have internalised the defeats of the past decades. It is Thatcher’s union ‘reforms’ writ large. This is worse than anything Tony Blair managed to foist on the Labour Party. How can we ever again gripe about the bowdlerising of Labour Party conference democracy if we acquiesce to the travesty that Jon Lansman and his cohorts are trying to foist on to us? We are still in the dark as to how motions might be proposed to conference. The original Lansman plan required an initial 50 signatures for a motion to progress further. After several more hurdles had been vaulted, 1000 signatures would be required for a motion to be heard by conference. Many branches and regional committees have criticised this, calling for the threshold to be lowered. It is very likely that the National Committee meeting of November 5 would have overturned restrictive stipulations like these and challenged many more of the plans of Lansman and co. Momentum has had a big first year. We’ve established over 150 local groups across the UK, run national campaigns, formed the backbone of Jeremy’s incredible second leadership campaign - and now we have over 20,000 members. Momentum helps the Labour Party to become a more open, democratic and campaigns-focused organisation. We need to be member-led ourselves. You must decide the future of your organisation. Yesterday, Momentum’s Steering Committee voted to start the process of ensuring that Momentum becomes a truly democratic member-led organisation, reflecting the new kind of politics. Over the coming months, members will propose their ideas on Momentum’s aims, ethics, and structure. We will use digital technology to ensure that all members can be involved and shape Momentum’s future. This process will culminate in our first national conference, with online voting for all members, in February. It is a classic in Orwellian hyperbole and double think. It talks about a member led organisation when the proposals from the SC are designed to achieve the exact opposite. The decision of the SC to distribute the arguments of those opposed to these proposals were conveniently overturned as Lansman fondly imagines that if he doesn’t distribute them people won’t oppose know about them! Dictators far more intelligent than Lansman have harboured similar illusions! Momentum groups are up in arms, not only about this but the removal of Jackie Walker as Vice-Chair. The last 48 hours have seen all hell break lose in Momentum. It is essential that Momentum members and branches hurry messages and resolutions into Momentum centre to condemn this latest attempt to shut down democracy in the organisation. · Momentum branches have been told not to bring their members together in constituencies and wards to work to maximise their political impact in these geographical units of the party. This makes it very hard to effectively cohere the Labour left in these locales. The official reason for this restriction is that the Labour Party does not allow the affiliation of organisations with a ‘mirror' structure, as the rule book dubs it. But then, Momentum is not affiliated to the Labour Party, it is not a party. Its members should be working together in cohesive units, sharing experiences and discussing in their democratic local forums the direction of their national organisation. · Apart from sending out insipid campaigning news, the Momentum leadership does not communicate with its members. There are no minutes, no reports, no agendas of the organisation’s committees. Some “key contacts”, as they are dubbed, in some branches sometimes receive a little information. A few of these comrades forward this intel to some other people some of the time. In effect this has helped to create local cliques that monopolise key information. The vast majority of Momentum membership have no idea of who runs their organisation, what decisions they take and how. Momentum’s claim to represent some sort of clean “new kind of politics” is starting to look very much like the old type of politics – decisions taken before meetings have even convened, a disregard of basic constitutional principles, an existing clique trying to preserve its own power. In fact the behaviour of Jon Lansman, Sam Tarry and co. seems to resemble nothing so much as the behaviour of Iain McNicol and Tom Watson. They are the very antithesis of democratic socialism. This meeting of the London Momentum Regional Committee censures the National Steering Committee for cancelling the meeting of the National Committee that was scheduled for 5 November and agreeing a method of organising the national conference without waiting for the National Committee to discuss it. We do not recognise the legitimacy of the Steering Committee to make these decisions. We call for these decisions of the National Steering Committee to be rescinded and for the NC to proceed as originally scheduled on 5 November. LRC AGM condemns the decision of yesterday's Momentum SC to cancel the scheduled NC for 5th November and its decision to abandon a delegate conference in February. This meeting condemns the decision by a hastily convened emergency meeting of the Momentum Steering Committee on October 28 to cancel the November 5 meeting of the National Committee. This NC was scheduled to decide the organisational details of our first national conference in February 2017. Important decisions on the future of Momentum should involve as many members as possible. Six people on the national Steering Committee (a body that was supposed to be re-elected in August 2016) have decided to stop branches and regional committees to have their say on the future of our organisation. We call for the National Committee meeting, re-arranged for December 10, to go ahead. It must discuss and make decisions on all issues pertaining to the organisation of our conference, including voting arrangements, delegate credentials and ratios, the future composition of the National Committee, etc. Jill Mountford who is a member of the Momentum Steering Committee has blogged on what happened at the meeting of 28th October because of course Lansman and co. would not dream of distributing minutes or a report of the meeting. I must confess to being surprised by the vote of Christine Shawcroft who is part of the split in Labour Briefing. She voted for the removal of Jackie Walker as vice-chair of Momentum but I took that to be because of bad blood between the groups. This vote is inexplicable. Another member of the Momentum Steering Committee, Michael Chessum, explains his vote against Lansman’s proposals. Momentum's steering committee met tonight in a meeting that was called with less than a day's notice, ostensibly to consider delaying the National Committee meeting which was due to meet on November 5th. I went to the meeting prepared to oppose the move (it's already 6 months since our democratic structures met) and expected to find myself in a minority. The NC was due to discuss (among other things) the composition and processes for Momentum's February conference, which would in turn decide our structures. In advance of it, local groups and regions had patchily met to discuss various proposals. But my initial concerns were blown out of the water. Instead, the meeting not only voted to postpone the NC to December, but to bypass the NC entirely and make the decision that Momentum's conference should effectively not happen (instead being a live streamed national gathering), and momentum's structures decided by e-ballot. This was in a meeting called with 19 hours notice. A lot of this was justified with an attitude of "it can't possibly be undemocratic to let all members vote, so pack up your deliberative structures and democratically agreed processes". Now I don't know about anyone else who's been around the Labour movement for more than 5 minutes, but I've heard that strain of logic before - and i dont mean from the left. Now even if you think that literally all of the organisation's decisions should be taken by OMOV (personally I favour a mixed system with both OMOV and delegate meetings; but I can quite see how with a complex conference structures debate you might want a delegate debate rather than an atomized online vote), but whatever your view, this is just an outrageous, farcical way for that decision to be made. Momentum is fantastic - and so are many of the people who frankly found themselves on the wrong side on this - but I really worry about the left sometimes, and how some bits of it have absorbed the modus operandi of blairism during the wilderness years. "I am making a statement on the working of the Momentum Steering Committee. Up till now, despite others commenting freely, and often in an uninformed way, I have agreed to be silent. However, events of the last few days have changed this. 'Almost immediately after the Jewish Labour Movement began to tweet against me after the training event, a 'senior member' of Momentum joined in, briefing the press, in particular a Guardian journalist, Joan Elgot. Interestingly those tweets have since been removed, though screenshots have been taken. This was very soon followed by full articles, both in the on-line and paper version, which said "The Guardian understands her removal from the post is likely to be confirmed when the committee meets on Monday. A spokesperson for the left wing grassroots movement, which was set up to support Jeremy Corbyn as leader of the party, confirmed members wanted her to go." I was also informed by the Guardian, as were others on the Steering Committee, at the same time as the Guardian Leadership, the date and outcome of the meeting to remove me. Included in this same article were comments by Manuel Cortes, Gen Sec of the TSSA, threatening to remove Momentum from TSSA premises if I were not removed. This came, I believe, soon after Cortes had publicly called me a rabid anti-Semite, or something to that effect. While the press may have known when the meeting to remove me would be, as well as the result, I was given only 48 hours notice of the hearing and no details either of how it would be run or what the charges were against me, despite repeated requests. The extraordinary spectacle of a group of trades unionist treating a comrade in a way THEY would not accept had they been representing me as trades unionist was shameful to our movement. No statement was taken from me or from anyone who had been at the JLM training event. The irony is the SC used evidence from the same media sources that had recently condemned Jeremy as an incompetent, an antisemite and a terrorist. After this kangaroo court, I asked for a complaint of this process to be forwarded to the NC and for an investigation to be launched about the leak. A meeting of the SC voted against giving me access to the NC. I know who leaked, as do many people on the SC. As to the most recent example of the lack of democracy of the SC, on Thursday at 10:30pm I received a notification of an emergency SC meeting. There was no mention of a discussion on how the conference would be run. A number of people could not make, or would not agree to come to such a meeting. A number of people, including myself and Matt Wrack, protested as to undemocratic process. Some members agreed to phoned in. Imagine my shock the next morning at being informed both that the NC was to be postponed and that the decision had been made by the SC that conference votes would be made on line. This occurred even though at least 2 papers were outlining different process of voting at conference had been tabled for discussion at the (now cancelled) NC. The sovereign body is the NC. The SC is there to implement their decisions. This is an outrage. 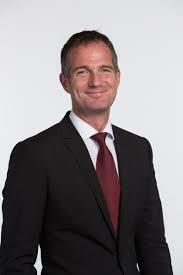 What do you call Peter Kyle - Hove's gay Progress MP sees nothing wrong in supporting the alliance with Saudia Arabia where being gay can be fatal? On the face of it, it is a strange issue on which to stage the biggest revolt since Jeremy Corbyn was re-elected as Labour leader. Even the Lib-Dems, who were up to their ears, in the sale of arms to Saudi Arabia in the last government, voted against. On Wednesday a Labour motion which had already been unacceptably watered down to call for a UN Inquiry into ‘all sides’ of the Saudi Arabia’s attack on Yemen was met with a concerted abstention by nearly 100 Labour MPs. It was wrong of Jeremy Corbyn and Emily Thornberry not to move a clear and unambiguous motion calling for the cessation of arms shipments to Saudi Arabia. ‘while Saudi Arabia will remain an “ally” in the region, the UK would suspend its support for Saudi forces in Yemen until “alleged violations” of international humanitarian law in the had been independently investigated. The idea that we will resume support for Saudi Arabia after humanitarian aid to children has been let in, so that Saudi Arabia can continue to kill and maim children and civilians is nonsensical. The facts are quite clear. Saudi Arabia which has no business meddling in Yemen’s civil war has killed at least 10,000 Yemeni civilians with US and British arms. Only a few weeks ago Saudi Arabia planes killed 140 people in a funeral party. What needs to be challenged is the idea that Saudi Arabia is an ally in the Middle East. It is a barbaric state which has one of the highest execution rates in the world, primarily of poor migrant workers. Its attitude to women, who are forbidden to drive or go out without a male chaperon, makes the Iranian state seem positively progressive in comparison. 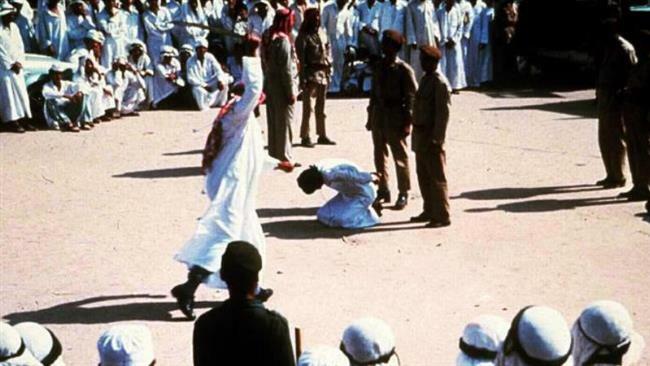 Flogging dissident bloggers, executing children, torture etc. should make anyone who is serious about human rights abuses steer a million miles from giving this detestable regime an ounce of support. Couple this with the export of the Wahabbi brand of Islam and the aid and financing of the very groups – ISIS and Al Qaeda – against which the West is allegedly waging a ‘war against terror’ and we see the hypocrisy magnify. 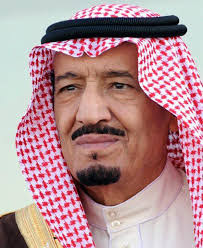 The fact is that there is moral basis for the alliance with Saudi Arabia, which together with the Gulf Sheikdoms, is in a close alliance with Israel in policing the region. Saudi Arabia has no business interfering in Yemeni’s civil war. Its blockade and merciless bombing, with British and US weaponry, has caused a human rights catastrophe. One can but compare the crocodile tears shed over Russia’s aerial bombardment of Aleppo with the support given to Saudi Arabia to note that Western foreign policy in the Middle East doesn’t have a shred of moral legitimacy. Naturally Labour’s pro-Trident John Woodcock defended his decision to support Tory party policy in Saudi Arabia (which is what an abstention means) on the basis that the “last thing the Middle East needs is more gesture politics from the comfort of British dining tables and withdrawal by those who have the capacity to play a constructive role.” In other words it is acceptable to supply arms to Saudi Arabia from London’s dinner tables but not to oppose their butchery. If it is ‘gesture politics’ to halt arms sales to Saudi Arabia then it is the kind of politics we need. The question therefore remains why did Labour’s Right choose this issue? It is clear that the fundamental issue which divides Corbyn from the Labour Right is over the alliance with the United States. Saudi Arabia is the US’s closest ally, despite its funding for terrorist groups. Ipso facto Britain must tag along. The extent of this alliance was shown when the Serious Fraud Office was getting close to British Aerospace’s use of bribes to obtain Saudi arms contracts in the Al-Yamamah arms deal. Tony Blair vetoed the prosecution. 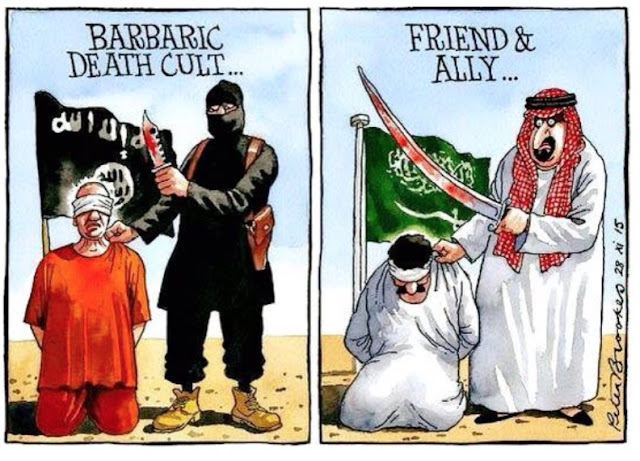 The alliance, if one can call it that, with the Saudi Arabian ruling family, is the lynchpin of US and British policy in the Middle East. The other key ally of course is Israel and it is no surprise that Israel and Saudi Arabia are extremely close politically. Labour’s Right is therefore saying that whatever Saudi Arabia’s human rights abuses and whatever its support for Jihadi groups in Syria, the necessities of the Western Alliance override the interests of the Saudi and Yemeni people. Old fashioned imperialism and self-interest dressed up in the language of mutual interests and ‘anti-terrorism’. It is one of the political weaknesses of Corbyn that instead of espousing an anti-imperialist position that rejects per se support for Saudi Arabia in the region, it is dressed up in a pacifism which in the end is watered down to remove even an arms ban. It is noticeable that the Chair of Labour Friends of Israel, Joan Ryan, was one of the abstainers, along with Ann Clwyd, the hypocrite who supported the Iraq war because of Saddam Hussein’s undoubted atrocities but was more than prepared to turn a blind eye to those of King Salman. Other luminaries include the ‘anti-Semitism’ liar John Mann MP and of course our very own Peter Kyle. Peter is a very great advocate of gay rights yet he was happy to support Saudi Arabia which reserves the death penalty for gays. The same was true of Ben Bradshaw. Keith Vaz and another Zionist Mike Gapes also abstained and Vaz actually spoke in the debat. This is why the attitude of the Momentum leadership and Jon Lansman, that the Labour Right can be appeased and brought to accept Corbyn’s leadership is so off beam. They will never accept the dominance of the Right in the party and that is why the Left has to be campaigning, not only to reselect these people but to gain control of Labour’s civil service and dismiss Crooked Iain McNicol, Labour’s General Secretary. Instead Corbyn has said that he has no quarrel with McNicol continuing in office so that he can continue the witch hunt of people on the Left. In the past month the elected Brighton & Hove Labour Party Chair Mark Sandell has been expelled from the Labour Party and we heard last week that Greg Hadfield, the elected Secretary, has been suspended. The witch hunt goes on and Momentum and its unelected leadership keep silent. Indeed we have news of Momentum intending to hold a long awaited conference in the New Year. Apparently it involves internet voting which suggests that they aren’t intending to hold a meaningful physical conference. The sooner Lansman’s baleful grip, together with his cronies, is lifted from Momentum the better. The membership of Momentum, which is now over 20,000 has to decide who their officers are. Last month, Jeremy Corbyn was re-elected as Labour leader. It was his second victory by an overwhelming majority in a year, and it should have given Corbyn uncontested authority. This became clear on Wednesday night, when more than 100 Labour MPs failed to support a three-line whip on British policy towards the Yemen. It was disloyalty on an epic scale. Corbyn cannot be faulted for calling a debate on Yemen. For the past 18 months, Britain has been complicit with mass murder as our Saudi allies have bombarded Yemen from the air, slaughtering thousands of innocent people as well as helping fuel a humanitarian calamity. Corbyn clearly felt that it was his duty as leader of a responsible and moral opposition to challenge this policy. He nevertheless bent over backwards to make sure that the Yemen vote was uncontroversial. The Labour motion therefore stopped short of calling for the suspension of arms sales to Saudi Arabia which has been demanded by many charities and campaign groups. This is because Corbyn and his foreign affairs spokeswoman Emily Thornberry were mindful that some Labour MPs represented constituencies where local jobs depended on the arms industry. So they contented themselves with demanding an independent United Nations inquiry into crimes committed by all sides – not just the Saudis – in this terrible and bloody conflict. They reasonably suggested that Britain should suspend support for the Saudis until this investigation was completed. This is the position taken by the bulk of the international community, by all reputable aid agencies and, as far as I can tell, by almost all ordinary Yemenis. In her excellent speech on Wednesday afternoon, Thornberry set out the reasons why the Saudis could no longer be trusted to investigate their own affairs. Yet more than 100 Labour MPs – not far short of half the Labour Party - defied Corbyn. As a result, Labour’s call for an independent inquiry was defeated by 283 votes to just 193, a majority of 90. But for Labour abstainers and absentees, Corbyn’s motion would have been carried and parliament would have voted for an independent investigation. It turns out that Ann Clywd, who made such a sparkling speech in favour of war during the 2003 Iraq debate, has abstained over Corbyn’s call for an independent investigation of Yememi war crimes. So have John Spellar, Gloria de Piero, Fiona MacTaggart, Barry Sheerman, Angela Eagle, Liz Kendall, Luciana Berger, Lucy Powell, Mike Gapes, Stephen Kinnock, Tristram Hunt, Margaret Hodge etc etc. It is important to highlight the fact that some of the most prominent opponents of Jeremy Corbyn did traipse through the division lobbies with their leader on Wednesday night. Alan Johnson, Hilary Benn and Yvette Cooper are just three examples. And, of course, the majority of those who abstained on Wednesday were not in parliament for the Iraq vote in 2003. It is these same modernisers who have caused havoc in the Middle East, condemning the region to bloodshed and war. They were at it again on Wednesday by sending a signal to the Saudi dictatorship that it was acceptable to carry out its murderous policies in the Yemen. Thirteen years after Iraq, neoconservatism still rules. - Peter Oborne was named freelancer of the year 2016 by the Online Media Awards for an article he wrote for Middle East Eye. 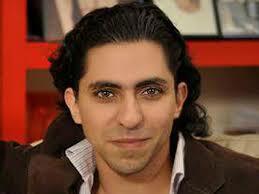 He was British Press Awards Columnist of the Year 2013. He resigned as chief political columnist of the Daily Telegraph in 2015. I suspect they all describe Luke Akehurst even if they miss out the vital ingredient of what makes someone who is obviously intelligent support the most reprehensible aspects of Israel’s occupation of the West Bank and Gaza. I refer to his right-wing pro-imperialist politics that sees little or nothing wrong with the imperialist presence in the Middle East. 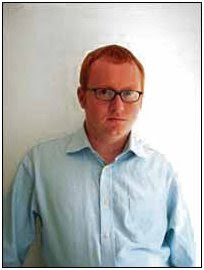 Akehurst until recently worked for the British Israel Committee’s We Believe in Israel department. In Hewlett Packard stands with Israel – stand with HP against the boycotters Akehurst defend Israel’s use of Hewlett Packard’s technology to maintain its police state methods of repression. Everything is excused under the rubric of ‘terrorism’. Both Desmond Tutu and Ronnie Kassrills were aware of the close economic, political and military links between Apartheid South Africa and Zionist Israel. Luke Akehurst, as a racist supporter of Israel’s settler colonialism is determined to ignore the reality of Israel’s occupation. The wonder is how this creature managed to become a runner-up in Labour’s NEC elections this year and to have even served as a CLP representative previously. It is an example of the depths to which Labour’s Right and the Zionist lobby will sink that such a man, who makes his living by working for an Israeli propaganda organisation, is the best they can find. A man without any sign of moral scruples. In Akehurst’s rant below he has even put up a petition for people to sign supporting this mega American multinational. One wonders whether, if he had been alive at the time, Akehurst would have summoned up support for IBM’s involvement in providing a basic computerised card index for the Nazis in order that they could classify Jews more efficiently? The methods of operation of IBM and Hewlett-Packard are much the same – providing electronic services to regimes of oppression. 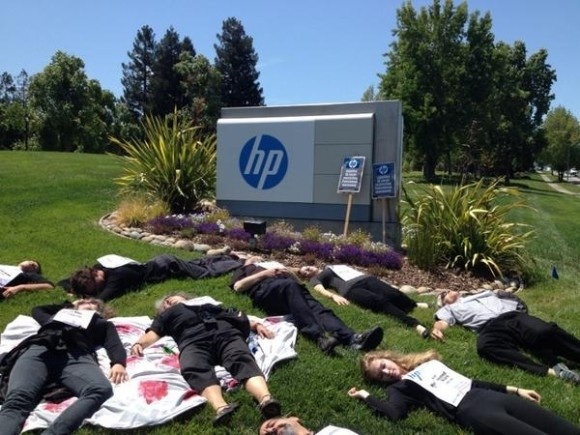 As the article The case against Hewlett-Packard shows, Hewlett Packard’s systems have nothing to do with preventing ‘terrorism’ but have everything to do with enabling the Israeli state to maintain its coercive and repressive regime of Occupation. The idea that HP’s technology makes it ‘easier for Palestinian workers and others to travel into Israel, as they can prove their identity’ is simply a lie. Palestinian lives are completely disrupted by the hundreds of Israeli checkpoints which makes a short journey take hours. 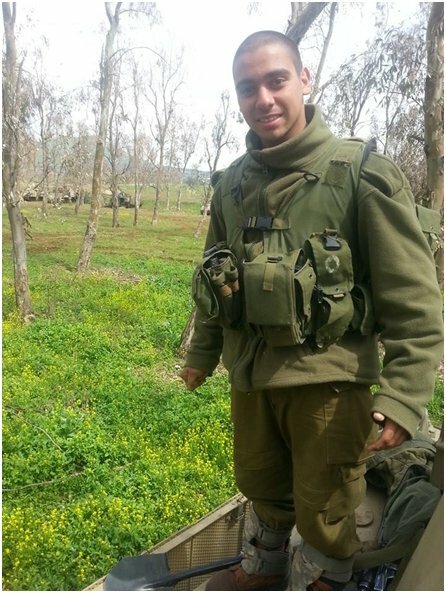 Or another example of the terrorism that Akehurst doesn’t see is the murder, one of very many, of an 18 year old college student Hadil Al-Hashloumon. Eyewitness To Hebron IDF Murder of Hadil Al-Hashloumon: ‘I Never Saw Any Knife’. There is of course the mundane terrorism that has seen over a thousand Palestinian homes demolished in the West Bank this year in order to make way for settlements. But the only time Akehurst understand’s terrorism is when the Palestinians under occupation resist. Otherwise it is simply a case of law and order, maintaining the racist peace and that of course is what the absurd ‘anti-Semitism campaign’ of the Zionists in the Labour Party is about. As Akehurst says, he is not Jewish but he is a Zionist. Thus it ever was. Anti-Israel campaigners have called on people to boycott the information technology company Hewlett Packard (HP) and its successor companies, because they provide biometric identity systems for Israeli security checkpoints. They also provide IT systems to the Israeli Navy, Army, Defence Ministry and prison service, all of which help Israel combat terrorist threats such as Hamas and Hezbollah. With 6,000 local employees, HP is the second biggest investor in IT in Israel. 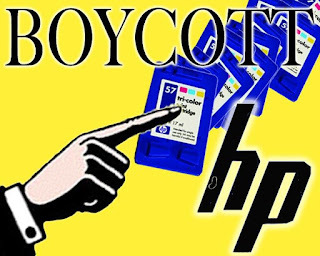 Just to confuse things, HP recently demerged into two companies – HP Inc. which makes computers and printers, and HP Enterprise which provides IT services and software to governments and companies – but the boycotters don’t care, they are boycotting both! The call to boycott HP would harm both Israelis and Palestinians because the HP-supplied security systems at IDF checkpoints help prevent terrorist attacks such as suicide bombings against Israeli civilians, whilst making it easier for Palestinian workers and others to travel into Israel, as they can prove their identity. HPE’s security system is used as a result of the Wye River Accords, signed by the Palestinian Authority and Israel. Boycotts are harmful to peace, as they stop dialogue and coexistence between Israelis and Palestinians. The boycott movement demonises Israel. It is particularly reprehensible to seek to stop Israel obtaining technology that protects its citizens from terrorism, and to attack companies that are involved in Israel’s security. As Hewlett Packard Enterprise helps protect Israeli civilians from terrorism, we want to encourage it to continue to provide technology to Israel, and to let HP know there is global public support for its role there.